There are a number of reasons behind the exploding popularity of the visual novel genre in recent years. One is that digital distribution platforms have allowed for a relatively cheap release; there's no need to produce boxed copies and organise retail distribution. Another reason is Steins;Gate. 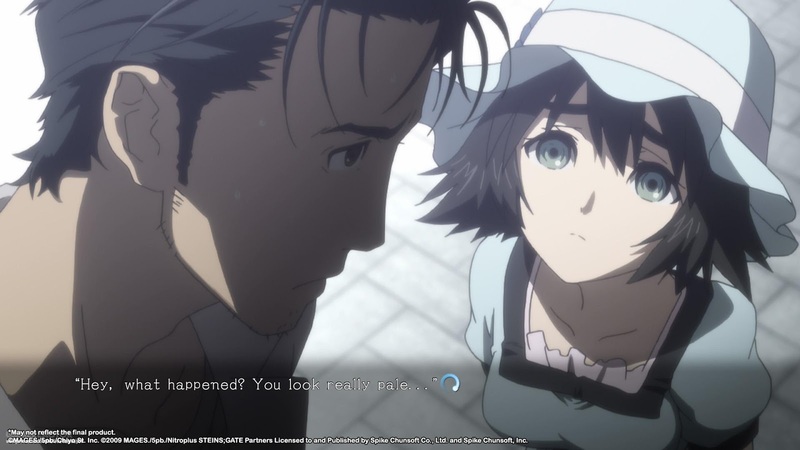 Steins;Gate was the game that made many people in the west realise that sitting down to a visual novel is a fundamentally pleasurable experience. Just as in Japan, where players have for quite some time understood that a game doesn't need to be about rapid-fire button presses and visceral action, the successful localisation and release of Steins;Gate - among a few other pioneering visual novels such as Hakuoki and Danganronpa - showed that there was a demand for that kind of experience in the west too. So, what is Steins;Gate? Loosely speaking, it's a science fiction novel that has been made (somewhat) interactive, and then had art laid over the top, in such a way that for many people it has become the epitome example of a visual novel. In addition to dealing with the concept of time travel (a prickly, difficult subject for even the finest science fiction writers, though handled deftly here), Steins;Gate is also by turns satirical and tragic. The lead character is a chuunibyou - a Japanese term for a guy that believes he has special powers and lives in a world that anyone else would describe as pure fantasy. He is a satire of Japan's anime Mecca, Akihabara, and the culture that spins around that city. But then really strange things start happening, and many of the supposed delusions that you were just laughing about moments before start to take a hard turn for the dark. If I were to define Steins;Gate's greatest strength as a storytelling experience, it's in the way it so effectively uses tonal shifts to create a sense of unease in the player. It's not really horror, per se (though some of the imagery is certainly disturbing), but Steins;Gate manages to be a profoundly uncomfortable experience at times. That it doesn't do that purely for the sake of it, but rather to push its key themes forwards, is why it's so hard to put down. It's not hard to understand why Steins;Gate would find an audience. Beyond the well-written core story, as a thriller with sublime twists and turns, it's also a fundamentally beautiful game, with wonderfully detailed character art and attractive voice acting (even for those that don't necessarily understand the Japanese language). 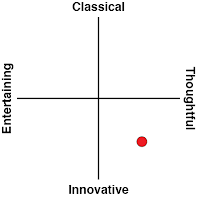 Beyond even that, it offers a very intelligent narrative indeed, dealing with common literary and philosophical themes ranging from the unreliable narrator through to chaos theory and the butterfly effect. This is a game that featured such confident writing that it makes people sit through a 30-minute long digression of fourth-wall breaking discussion around the increasingly popular thought experiment about whether humanity is simply a simulation. It does that in its opening act, and gets away with it because it is just so well written and enjoyable, even if its relationship to the broader story is tenuous. It's the kind of game you can genuinely study, and with each play through you'll find new layers of meaning to unpack. Throw in a truly eclectic mix of charming characters, each with brilliant, rich characterisation, a healthy balance of the surreal and the tragic, and Steins;Gate is one of those games that you wish you could experience for the first time more than once. Its surprises, twists, turns, and pivots are genuinely masterful examples of writing, and were Steins;Gate a novel, it would be lauded as one of Japan's contemporary literary classics, right up there with Murakami's finest works. Now, with Steins;Gate Elite, it all gets better. So much better. Steins;Gate Elite does absolutely nothing that wasn't in the original visual novel in terms of its underlying storytelling. There's no change to how interactivity is handled, and the only time you do anything more than cycling through text is when you pull up your in-game phone to answer emails left to you by the game's various characters. These emails determine which of the game's various endings you'll experience, and just like in the original Steins;Gate, it's a clumsy thing to fumble through for the first couple of play throughs. There's no change to the text or flow of the story. What has changed, however, is the presentation. 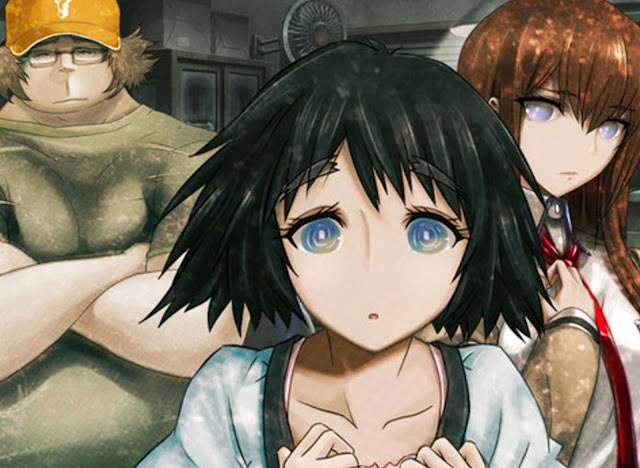 The developer has taken parts of the Steins;Gate anime, as well as plenty of original animation, and superimposed it over the narrative text. Going into the game I wasn't expecting that to achieve much to enhance the story, but I was very wrong about that. Steins;Gate Elite sets the new standard for what visual novels should offer. 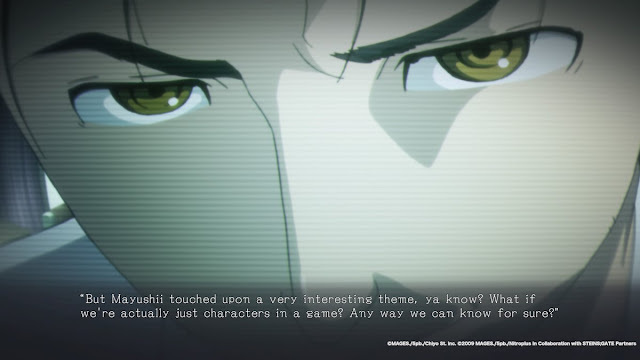 Rather than relying exclusively on static character portraits and text to build a sense of character and place in Steins;Gate Elite, now characters also have animated characterisation, and the way they move and interact with one another creates a much more vibrant sense of storytelling to it. Meanwhile, the animated nature of the game also helps to give it a better sense on pacing. 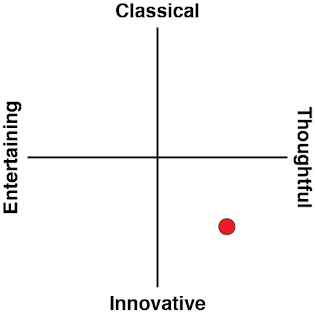 Steins;Gate's one criticism is something that is common for the science fiction genre as a whole; because the storytellers need to describe things that are quite alien and exotic to what we know of the world, they also tend to get bogged down in deep periods of explanation, and that certainly counts for Steins;Gate as well. This is, after all, a story about a particular vision of time travel, and time travel is a complex subject to grapple with at any time. Steins;Gate always did a good job with that difficult subject relative to the science fiction genre, but nonetheless, having the explanations broken up with animated action on screen helps to keep the mind focused as you read along. At the same time - and this is the real brilliance of Steins;Gate Elite - the animation never overpowers the text. If there were too many cut scenes, or too much energy and action through them, Steins;Gate would start to lose focus as a bookishly narrative-driven experience, and players would start to lose sight of the messaging and word mastery that forms the core appeal of the game. Subtle as it is, Steins;Gate Elite's animation complements the storytelling. It doesn't overpower it. Steins;Gate Elite is not only the perfect visual novel improved, but it's also a shining example of what the top tier of visual novels should look like. Going back to the standard structure of mostly static images and endless text to cycle through it going to be so hard now. My only hope is that other developers of visual novels are able to step up to join Steins;Gate Elite, because currently it's the only one sitting up there on that pedestal.